With an area of 147,181 sq km, Nepal is home to 26.6 million inhabitants representing over 120 ethnic groups and 100 languages. 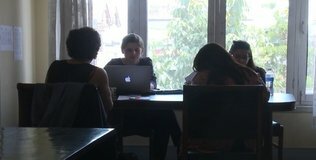 The share of female population is 51% and 48% of the people are children and youth under 18 years. Around 83% of the population lives in rural areas and the remaining 17% reside in urban areas. 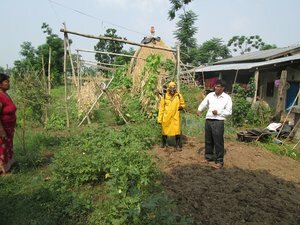 While poverty has dropped from 42% in 1996 to 25% in 2010, Nepal has also made significant progress in access to social sector.However these gain are not evenly distributed and exist huge gaps gender, ethnic, religious and caste groups, and geographical regions. Similarly, about 36% of the population is still deprived of the minimum food requirement, and 47% of children under five years are stunted. In addition, 46% of the Nepalese are either unemployed or underemployed. Two major earthquakes, one on 25th April and the other on 12th May, 2015, affected the whole country. Thirty- one out of 75 districts were affected and fourteen of then were declared as ‘Crisis hit’ districts. About 8702 were dead and 22,303 were injured. Similarly, 18 health workers died and 75 were injured. Further, 446 health facilities (public) and 16 private health facilities were completely destroyed. 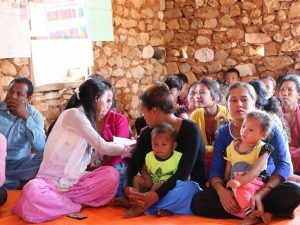 It was reported that 279231 children under 5 years, 72784 pregnant and 61715 lactating women were affected due to the earthquake. The health status of Chepang is much lower compared to the national and district data. The key indicators of safe motherhood such as ANC, PNC stands very low. Chepang are mostly concentrated in the western-northern part of Makawanpur namely Raksirang, Khairang, Kankada, Sarikhet, Bharta. The report published by District health Office (DHO) Makawanpur shows these are hardly hit VDCs as majority of health facility of these are completely damaged. The total population of Nepal are scattered in different districts. 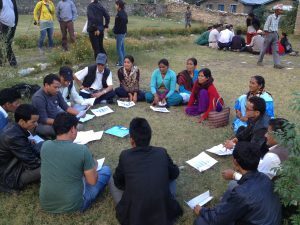 Among them, 12,000 are concentrated in the targeted VDCs of Makwanpur district. 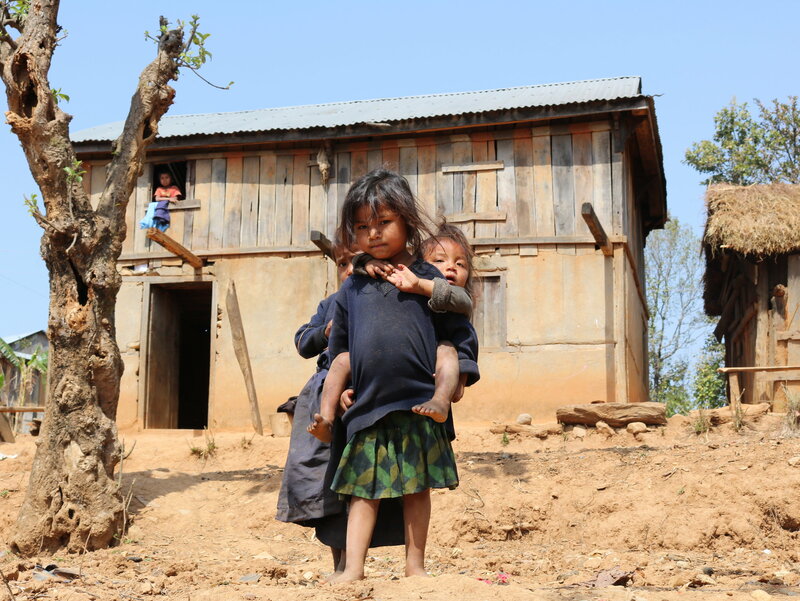 Besides Chepang, other disadvantaged groups like Tamang, also live over there. 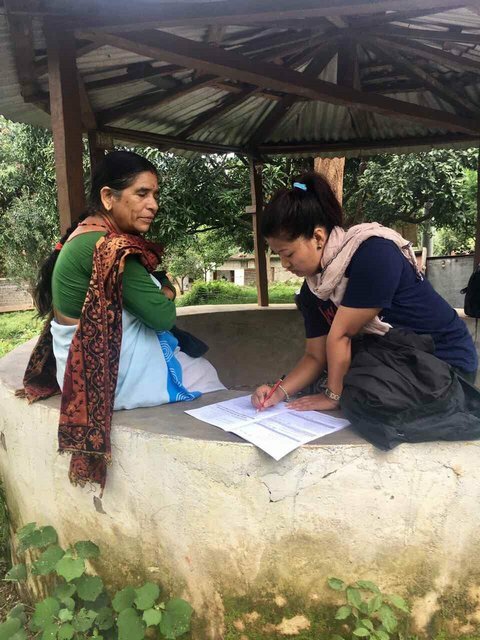 Thus, the comprehensive intervention targeted to improve MNCH and nutritional status will not only serve to increases access of Chepang of Makwanpur district,but may serve as model to scale up to meet the needs of rest of Chepang community. 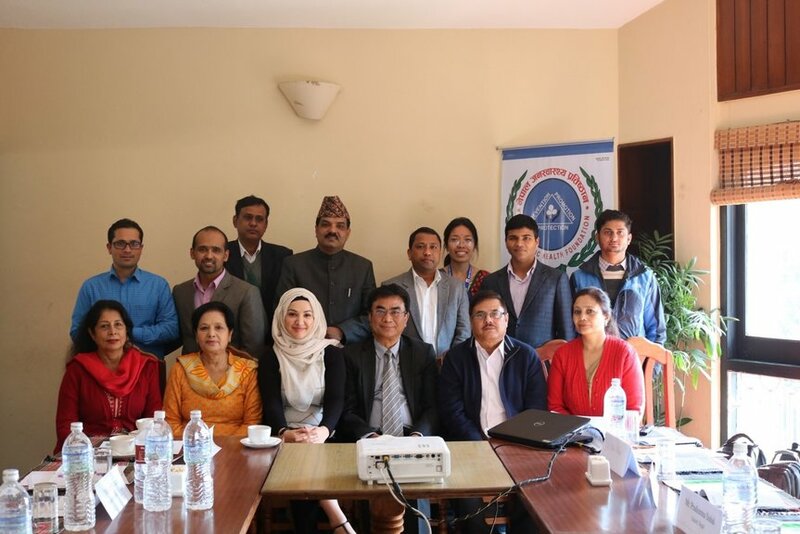 Improved health and nutrition status of mothers, neonates and children of Makwanpur district. To improve maternal and child health nutrition and hygiene practices by increasing access to related information and services. To improve access and utilization of maternal, neonatal, child health, nutrition Services and hygiene practices in the project area. To create awareness and improve practices on quality maternal, neonatal, child health, nutrition and hygiene services in community. 9. 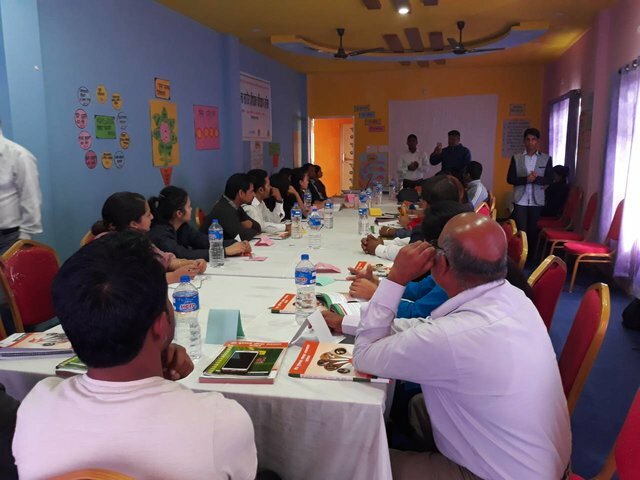 Training of school teachers who are involved in teaching health and nutrition education. 11. 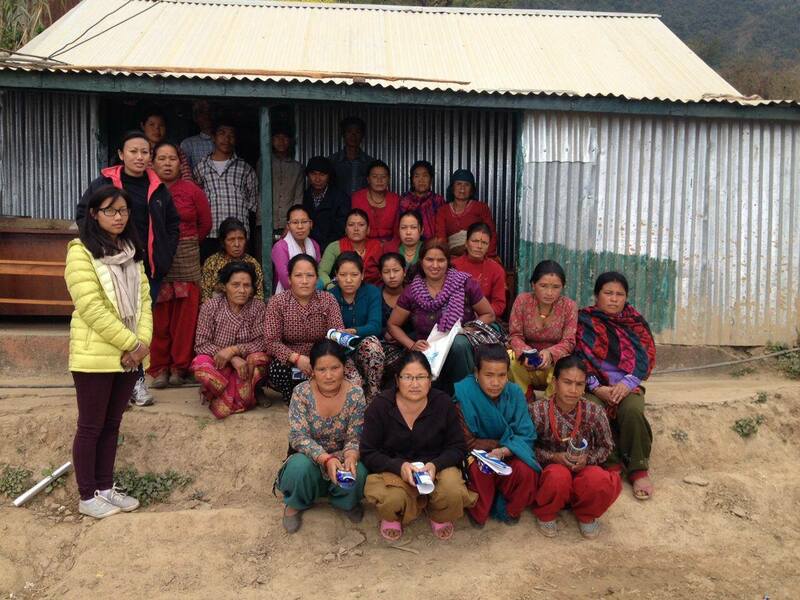 Support to provide Mobile health worker/SBA to make birthing center functional round the clock. 12. Introduce community score board in the health facility. 13. Encourage FCHVs for door to door visit by providing non-financial benefit for better follow up of pregnant and lactating women. 14. 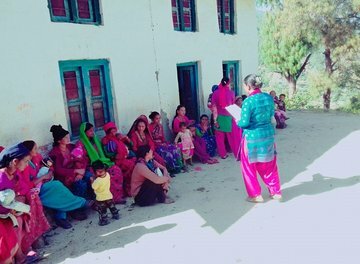 Form/Activate the school health and nutrition committee (SHNC) and regularly conduct school health programme to improve MNCHN and hygiene practice.